Mr.Zhang Ming Wen is the Chief Financial Officer of China Shipping Container Lines Co.,Ltd(CSCL). He graduated from Shanghai University of Finance and Economics majoring in Economics and got the Master degree in Business Administration from Antai College of Economics & Management, Shanghai Jiao Tong University. He is Chartered Financial Analyst and Senior Accountant. 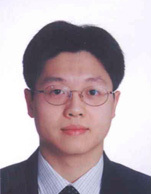 Mr. Zhang has enormous experiences in Shipping finance，Capital Market and Finance management. He used to be the Head of Group Treasury of China Shipping Group Company，and nominated as CFO of CSCL since November 2012. Mr. Zhang was a team member of CSCL restructuring and provided excellent support in the way of capital and finance management in the project.